Ahhh Mokita. It’s time we talked about the elephant in the volunteer manager room. We want to stand up for ourselves, but we don’t want to be ruthless. We want to be selfless but we don’t want to be stepped on. We look at our traits in terms of opposites. So we pick one side over the other, never thinking that we can be a whole and more productive person by uniting these two sides. How can volunteer managers tame the emotional war within us? Must we be placid to be kind? Do we have to become hardened, selfish and mean spirited to achieve respect and recognition for our work? NO, NO and once more, NO. In order to cease battling and reconcile the two sides within, we first must dispel our burdensome misconceptions. Let’s look at the traits that make up our Mokita: We’ll consult a dictionary as the authority. 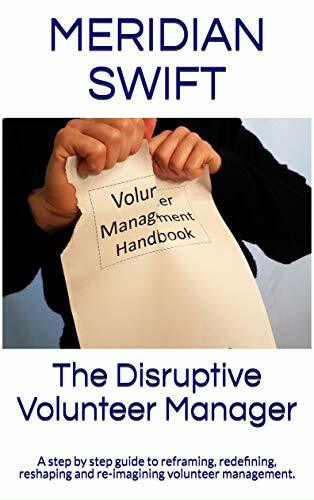 For too long, volunteer managers have operated under the misconception that we are the the pushovers, and the pack mules of our organizations. But in order to change these misconceptions, we must first change them within. If we do not believe that we can be strong and bold without losing our altruistic and humble nature, then we won’t convince anyone else either. Maybe, to ease the emotional adjustment to becoming courageous and daring, we can look at it like this: We’re not changing to only better ourselves. We’re changing to help lift all the other volunteer managers and volunteer programs out there. We are striving for respect and appreciation to light the path for all those future volunteer leaders. Now that’s more in keeping with our altruistic nature, isn’t it? I feel impelled to state something that bothers me terribly…for over 25 years I worked in the “business world” using my negotiation, oral and written communication, management, and organizational skills. I use those same skills today as a coordinator of volunteer services. I am being compensated at 1/3 to ½ of my previous compensation. This doesn’t make me feel at all “altruistic.” I am passionate about my job, but the comp-situation is starting to wear on me. Thanks; just had to share this with someone! Hi Colette and thank you so much for sharing your experience with us. One of the outcomes of the Volunteer Management Progress Report, conducted by Tobi Johnson at VolunteerPro: http://volpro.net/volunteer-management-progress-report/ is the common complaint that volunteer managers are underpaid. Volunteer Match through their blog, Engaging Volunteers recently recorded a podcast in which Basil Sadiq interviewed Tobi Johnson on these results. http://blogs.volunteermatch.org/engagingvolunteers/2017/02/14/podcast-understanding-the-impact-of-volunteer-leaders/ -it is excellent and worth a listen. Less pay is a phenomena plaguing the profession. And sadly, altruism is often not enough to keep us doing our jobs. Thanks again. And, Colette — I totally agree! We need to start advocating for a fair wage. This is one of the reasons why we started documenting the actual salaries leaders of volunteers in the Volunteer Management Progress Report survey. Without hard data, it’s challenging to make the case. According to a recent report from The NonProfit Times — http://www.thenonprofittimes.com/wp-content/uploads/2014/04/1.12.14-2014-NPT-Executive-Summary.pdf — the average annual salary for a Development Director was $70,489, while that of a Volunteer Director is $55,360. In our report, the average salary for US leaders of volunteers (with a variety of job titles) was $45,325. Clearly, we still have a long way to go in terms of recognition of the vital work volunteer managers bring to organizations. But take heart — there’s a groundswell brewing around advocacy for our field. Take, for example, the National Summit on Volunteer Engagement Leadership — http://www.mavanetwork.org/content.aspx?page_id=22&club_id=286912&module_id=246702. It’s a great time to be a volunteer coordinator! Thank you so much Tobi for taking the time to add to this conversation. I wanted to do justice to your enlightening report. For more information, please visit http://volpro.net/. 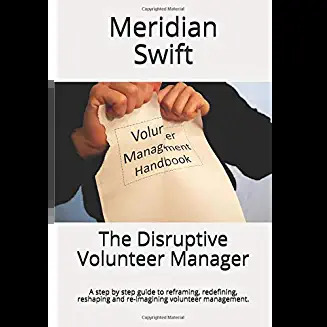 I read your first Makita chapter only this morning and what came through loud and clear to me is the low status of volunteering in general, which flows on to how managers of volunteers see themselves. Our role as community leaders and activists has been side-lined by the politics of the powerful. So yes, there is an elephant in the room, but not entirely of our making. In this week’s post on traits you have identified a list and the meaning of qualities I think we hold dear. So we have within ourselves the means to drive for change. I’d like to think we could attract an army of volunteers to support us on this crusade – to get widespread attention, to be heard and understood, and appreciated for the knowledge and information and resources we can bring to the table of community development and social well-being. Ignoring the elephant will never change anything. Hi Sue and thank you so much for weighing in. I’m hoping that more and more volunteer managers find their way to the great community of thought leaders such as yourself and so many others. To me, change begins within. The fortitude to advocate for change has to marry our concept of decency. Then, we will have the strength to stay the course. Reblogged this on Volunteering Counts in Dudley borough. Would You Choose Raw or Developed Volunteers?